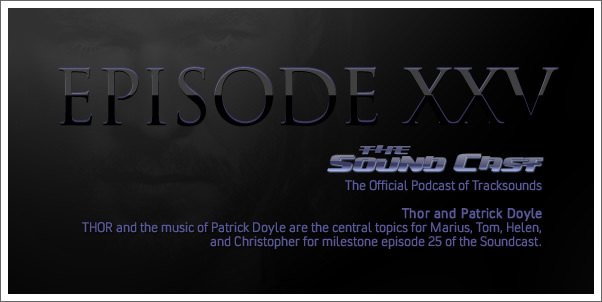 THOR and the music of Patrick Doyle are the central topics for Marius, Tom, Helen, and Christopher for milestone episode 25 of the Soundcast. 42:26 — Has Thor been Remoted Controlled? 51:17 — How did Brian Tyler get in here?